Legal actions are pursued aggressively against collectors who continue illegal communications. You are protected from unlawful debt collection communications under the Rosenthal Fair Debt Collection Act (RFDCPA), Fair Debt Collection Practices Act (FDCPA), and Telephone Consumer Protection Act (TCPA). For Shawn A. Doan’s bankruptcy clients, no up-front fees are required to initiate creditor harassment lawsuits against creditors. Put and end to creditor abuse. Shawn A. Doan represents your interests and is able to notify your creditors and third party collectors that his services have been retained by you and that they must only deal with Shawn A. Doan. This stops calls to you. Some creditors will not follow these rules, but most will. For those that don’t, Shawn A. Doan will review the merits of FDCPA (Fair Debt Collections Practices Act) in all of its bankruptcy and debt resolution programs. If together we can prove creditor abuse, the financial remedies are often significant and greatly beneficial to you. Having Shawn A. Doan contact your creditors and negotiate your settlement offers you protection under the law, something that most debt settlement companies don’t. If you are being unduly harassed by a creditor, contact Shawn A. Doan today. He can help! Creditor Harassment and The Fair Debt Collections Practices Act (FDCPA)- What Does it Mean for You? If you are struggling with debt, you may have experienced rude, offensive, and distressing interactions with debt collectors. What if a debt collector just won’t stop calling? What if they use offensive language towards you or threaten you over the phone? The Fair Debt Collections Practices Act (FDCPA) is your protection against creditor harassment. The FDCPA was designed to prevent harassment by prohibiting debt collectors from using illegal and/or offensive tactics when attempting to collect on a debt. Under the FDCPA, there are legal limits to how far a debt collector can go, and you have legal recourse if they step over the line. Violence and Threats: A direct or even implied threat of violence towards you, your property, or your reputation is a violation of the FDCPA. Obscene or Profane Language: This includes abusive language such as “liar” or “lazy,” and religious, racial or sexual comments. Publishing Your Name: While debt collectors can disclose your name to a credit reporting agency, they are not allowed to publish your name or a list of individuals who are not able to pay their debts. Advertising your Debt: Debt collectors may not advertise the sale of any debt to coerce payment. Continuous or Repeated Phone Calls: Debt collectors may not “repeatedly or continuously” call you about the debt with the intent to harass, abuse or annoy you. Anonymous Calls: Debt collectors may not make telephone calls to you without “meaningful disclosure of the caller’s identity.” The debt collector must tell you that he or she is a debt collector who is calling to collect a debt, and give you the name of the company that he or she works for. 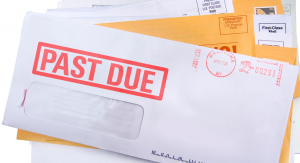 If a debt collector violates the FDCPA, you have a right to sue. The FDCPA allows individuals to sue the debt collector to recover any damages that you can prove you suffered, as well as attorney’s fees. If creditors are harassing or abusing you, contact me for help today. I can help you recover the damages you are entitled to, as well as help you explore your legal options, such as filing for bankruptcy protection. A payday loan is a small, short term loan with an extremely high interest rate used to help a borrower meet their financial burden until their next pay day. The lender holds a check anywhere from a week to a month, in return, the borrower gets cash immediately. At the time, paying the extremely high interest rate (up to $17.50 per every $100 borrowed) seems like an appropriate choice in an urgent situation but what you don’t realize is that you are only digging yourself deeper into financial debt. When payday loans were legalized in California, lenders claimed that these loans were used for an occasional emergency over a short term period however this is simply untrue. A study done by a Wall Street analyst found that “the average customer makes 11 transactions a year, which shows that once people take [out a payday loan], they put themselves behind for quite some time.” Robbing Peter to pay Paul from paycheck to paycheck will only result in customers eventually defaulting on their repayment. Once you are already struggling to make ends meet, taking out a payday loan can escalate an already dire situation very quickly and it is all too common for a borrower to eventually file for bankruptcy. For the most part, payday loans are considered unsecured debt and are treated as so during bankruptcy proceedings. Filing for Chapter 7 will allow a debtor to discharge their debt without repayment and essentially all unsecured debt is dischargeable. Under Chapter 13, the debtor is able to repay the debt using a repayment plan. Payday loans can be included in repayment plans, allowing repayment over time. In some instances, these types of loans can be discharged under a hardship provision if one is not able to complete a repayment plan. Such loans incurred within 60-90 days before filing might not be dischargeable in bankruptcy, as the creditor gets the presumption they were incurred with no intent of the debtor to pay back, which means the debtor would have to over come this presumption in order to include them in the discharge, if the creditor so alleges. If you find yourself overwhelmed with debt and your payday loans are only exacerbating the situation, contact your Bankruptcy Attorney Shawn A. Doan for more detailed information on this matter.